Host an Event for Free! Host a community-building service opportunity for your gym members this December! Naughty or Nice is a worldwide event where box members come together in support of the children’s charity of your gym’s choice. FREE to Host. 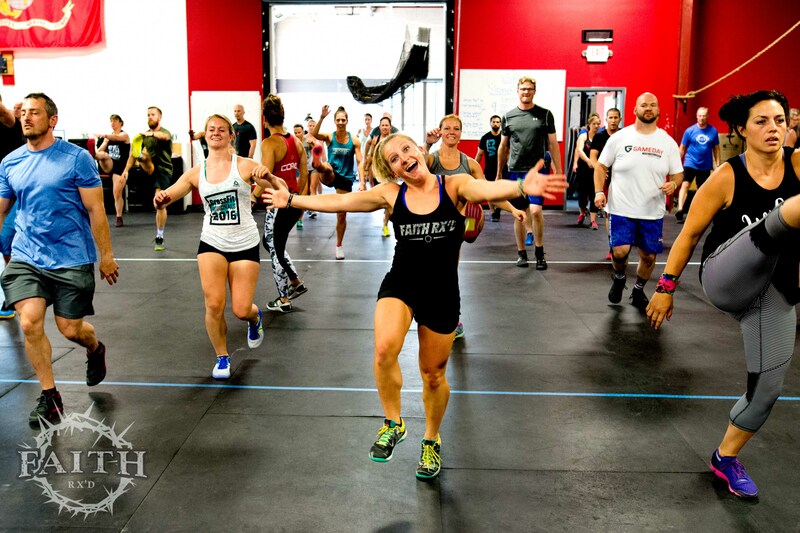 You pick a date & time (or dates & times), then cheer your athletes on as they work through the Naughty (Rx) or Nice (Scaled) workout. FREE to Participate. Athletes & spectators are encouraged to donate an unwrapped gift for a child (‘Give a gift. Get a lift.’). Athletes can participate in the workout for FREE, or for $35, register and receive the 2018 Naughty or Nice t-shirt or women’s tank. Apparel proceeds & donations support FAITH RXD. Everyone is encouraged to participate, whether donating a gift, competing, participating for fun, cheering & encouraging – everyone plays a part in building the community that makes YOUR gym special. And everyone should be in your picture commemorating the festivities at #NoN18! Naughty or Nice will be promoted through social media and NaughtyorNice.events that links participants to your Registration Page (supported by BoxTribe).